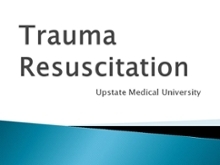 The Trauma Resusciation Course is a four-hour course that teaches nursing personnel about the New York State Trauma System, developing a trauma team and the assessment and management of life-threatening injuries. The course is designed to be taught on-location and participants will earn 3.8 hours of nursing continuing education credit. 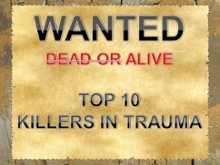 Wanted Alive is a one-hour presentation for physicians, nurses and licensed independent practitioners. This one-hour class, teaches participants about the regional trauma system, developing a trauma team and management of life-threatening injuries. This class is designed to be taught on-location at your hospital. We are also available to provide specific trauma related education to meet your needs.